NOTE: Looking to scare away birds? Here is all our information on bird scaring. EACH YEAR IN North America, more than 136 million pounds of pesticides find their way onto lawns and gardens as well as in homes. While many of us blame these levels on farmers, the reality is that homeowners use three times the amount of these products. In fact, the vast majority of surface water contamination and wildlife poisonings are the result of homeowners using pesticides and herbicides on their lawns and gardens. Remember, there are several beneficial insects in your garden. When you turn to a chemical pesticide to kill the “bad” bugs, chances are good you will be killing a number of the “good” bugs as well. Now for some good news! Mother Nature provides us with an ample supply of non-toxic ways to help you manage the “bad bugs” while at the same time minimizing the risk to the “good” bugs. Just like your grandma used to say, “An ounce of prevention is better than a pound of cure”, especially when it comes to keeping the pests out of your garden. Pests come in all sizes and shapes, from tiny insects all the way up to deer. But no matter how big or small they are, you need to keep them out of your garden and stop them from destroying your crops. Scientific research has shown time and again that the healthier your soil and plants are, the better your plants will be able to fend off attacks by these pests. Experts agree that soil that is healthy, fertile, and living is one of the best ways to save yourself from having major pest issues. 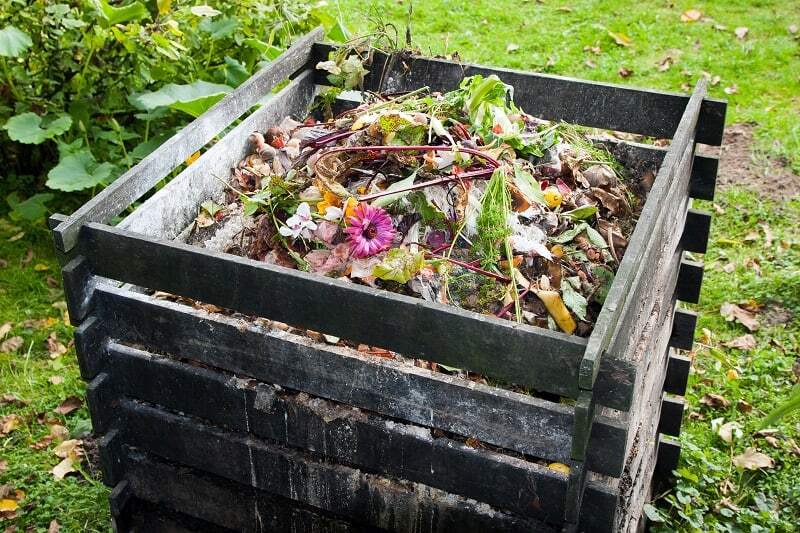 If you don't already have a compost bin, get one and start building your compost for spring. 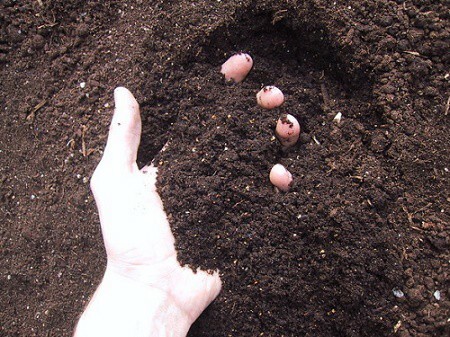 A good one to two-inch layer of compost will help create healthy soil by supplying plenty of natural nutrition to it. 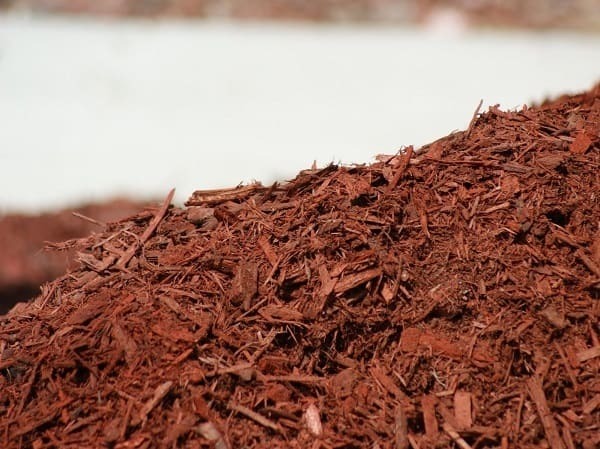 Adding a two to four-inch layer of mulch to the top of your soil will reduce water evaporation, keep soil temperatures more stable, add organic matter to the soil, and reduce soil compaction. When your growing season comes to an end, protect the integrity of your soil by planting a cover crop such as clover, peas, or rye-grass. They will help keep your soil in place, add to its overall health, and keep the weeds down. When you keep growing the same crops in the same part of your garden is one of the worst things you can do. This depletes the soil of the nutrients that crop needs, reducing yield. 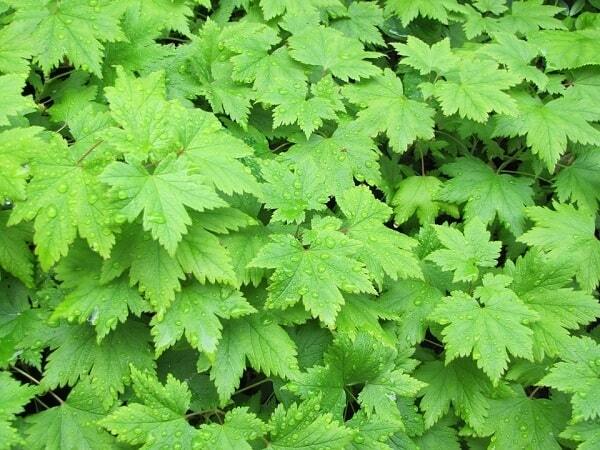 At the same time, it attracts more of the particular pest that likes this particular crop. The longer you leave the same crop in place the larger your pest population is likely to grow. It's important for you to remember that not all bugs are bad. Many of the bugs you see in your garden help keep your plants healthy by pollinating, cleaning up and decomposing waste, and yes, you guessed it, filling themselves up on a steady diet of pests. One of the best things you can do to keep the good bugs in and the bad bugs out is to keep your crops as diversified as possible. If possible where you live, try to promote the growth of plants that bloom all year round. These will help attract the good bugs and keep them living in your garden. 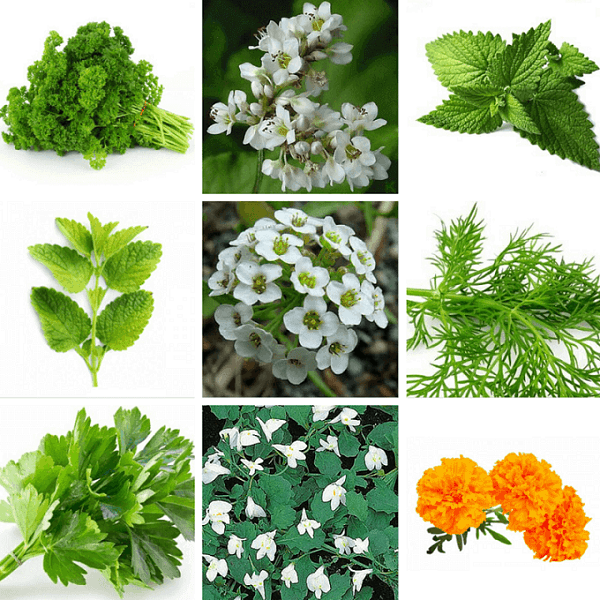 What About Plants for Pest Prevention? You will find that a large number of plants that are native to your area can be used to help keep those pesky pests at bay. More importantly, most of these plants are native to your area and as such should have no problem growing with a minimum of care. Of course, you can also help reduce the number of plants you can add to your garden and to the gardens around your house and gardens that will help to control a wide swath of pests. 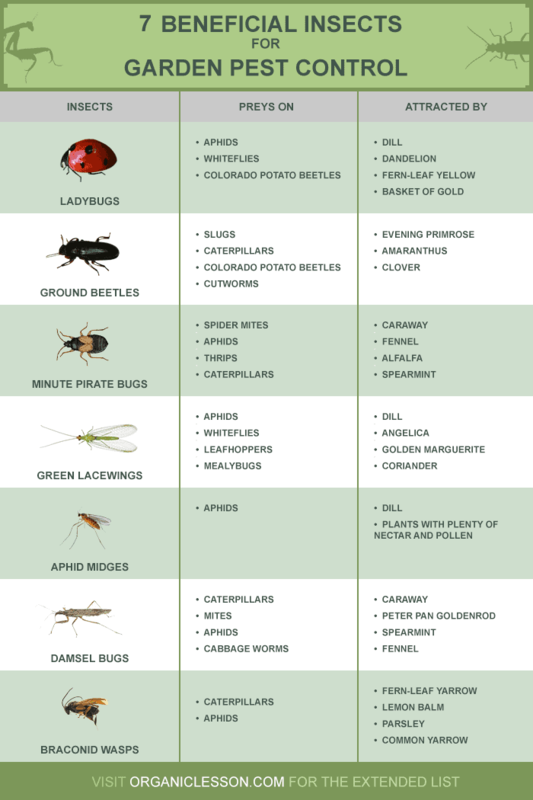 The list of plants that are known to help with pest controls is very long, this is only a small sample of the dozens of different plants you can add to your garden, yard, or flower gardens to help keep a wide array of bugs out of your garden. But what about other predators such as rodents and deer. Beyond the myriad of bugs that want to turn your garden into their private dinner table, there are many other pests to consider. Among these are mice, rats, moles, voles, gophers, squirrels, and many other furry critters who want to add a few more veggies to their diet. 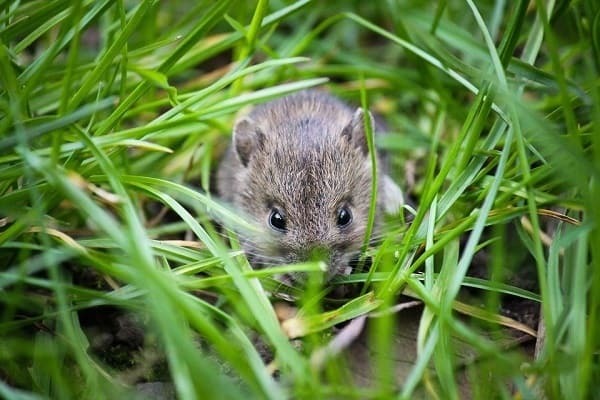 In order to determine the best form of pest control for your garden when you have larger animals, you first need to determine what type of critter you are dealing with. One way to do this is to install one or two trail cameras in your yard such as those used by hunters to keep an eye on deer movement. These cameras use motion sensors to operate the shutter and take pictures of who is invading your garden. One way to keep the number of smaller predators out of your garden is to clear out brush piles, cut down tall grass, and eliminate as many potential hiding places you can find. You can help by keeping your compost pile covered, keep your trash can lids secured, and remove any possible sources of food that might attract any one or more of these pests to come and feast. There are several very effective natural repellents you can use to keep four-legged pests at bay. So, let's take a look at some of the larger predators and what you can do to keep them out of your gardens. You wouldn’t think it, but none of the best ways to deal with some of the animals that are pestering your garden is simply to learn to coexist with them. Some will respond well to having food they really like planted for them or placed where they can get it. The hope behind this method is that the animals will go after the food that is easy to get to rather than struggle to get the food in your garden that you have worked so hard to protect. 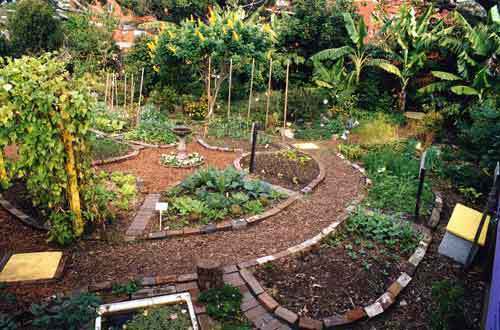 In reality, you should probably plan to use several of these methods in conjunction with each other to create a virtually impregnable fortress around your garden. Although you can buy a number of commercial chemical pest controls, you should avoid the use of these toxic chemicals to keep the pests out of your garden. Think of it this way, if these chemicals can kill a wide range of pests quickly, why on earth would you want to use them in the garden where you are growing foods that are capable of soaking them up. Imagine what the constant ingestion of these chemicals is going to do to your health and that of your family.